From pendants to Murano glass chandeliers, here are 11 light fixtures we’re head over heels for. Lighting can make or break great interior design. From pendants to Murano glass chandeliers, here are 11 light fixtures we’re absolutely loving right now. In an otherwise formal dining room, this airy modern glass globe chandelier gives the room an updated look. We also love how it doesn’t distract from the killer view out the large picture window. Can’t you just imagine dining on a seafood dinner in dim lighting as the sun sets just beyond? 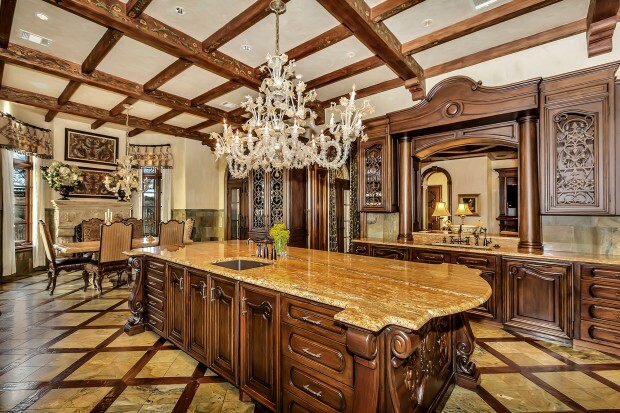 When your kitchen is as elegant as this, it deserves a Murano glass chandelier. 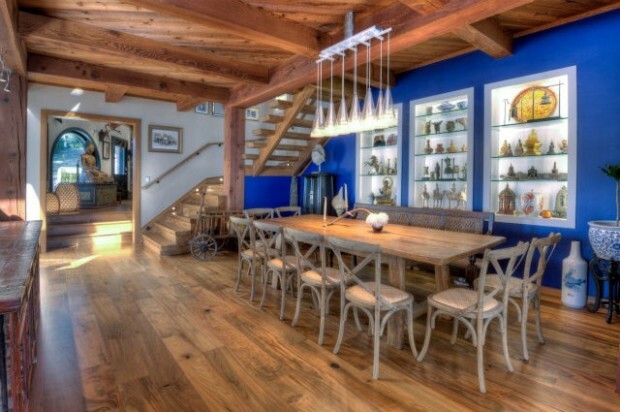 We love the juxtaposition of the rustic wood beams with the clear glass. The lighting isn’t the only Venetian-inspired element of this home, the spectacular wine cellar, manicured gardens and painted ceilings have a hint of old world Italian to them as well. When one just isn’t enough, add another. If you have a long dining table, consider installing two light fixtures–one at each end–to bring even light to both sides of the space. We like these fixtures because they are both elegant in shape and material, but understated with the translucent effect of the orbs so you can allow the rest of the design elements in the room (like those gorgeous blue statement chairs) to shine. In a room that is all about good lighting–the closet–this shaded pendant lamp warms up the space while still giving off good illumination. Now if only our closet had this much storage! This light fixture gives eating by candlelight a whole new meaning. With a mix of rustic and refined, this rectangular wrought iron fixture is perfectly proportionate to the room and table, while still making a bold statement. 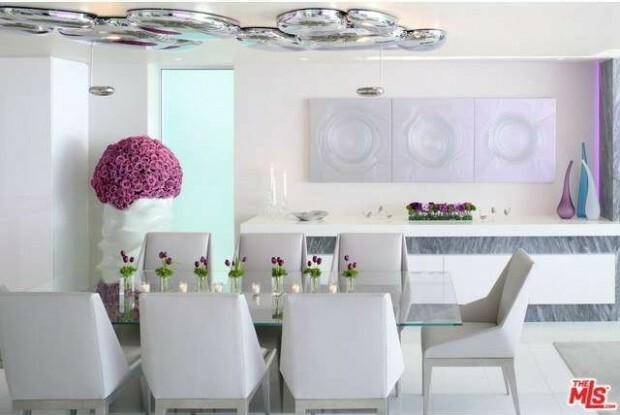 By grouping several of the same drop pendants from the same space above a dining table, it gives the illusion of a unified fixture and dramatic art piece. 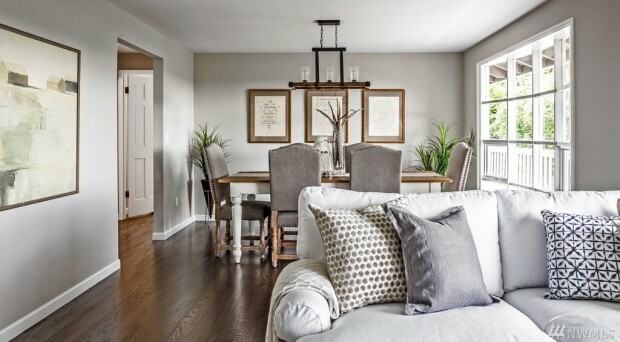 The mixture of wooden farm table with metallic modern fixtures is a win. The alternating heights and shapes of this over counter light fixture gives this modern space even more allure. The key here is the mix of symmetrical elements with just enough asymmetry to keep the eye’s interest. 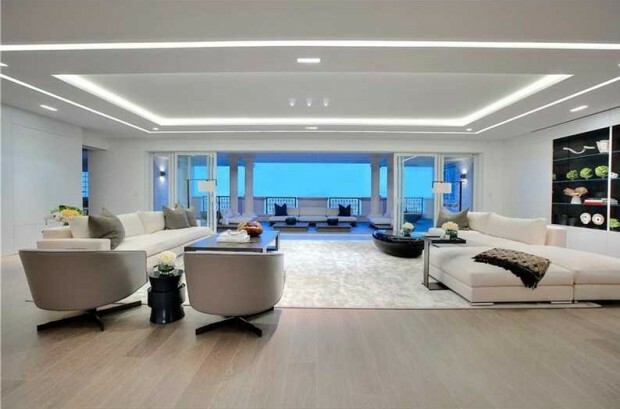 This custom lighting throughout this penthouse property creates a vibrant ambiance with recessed lighting around the perimeter of the room. Light fixture or ceiling art? We’re not sure either. The silver bubble-like forms on the ceiling are actually lit from behind to create an unforgettable dining experience. 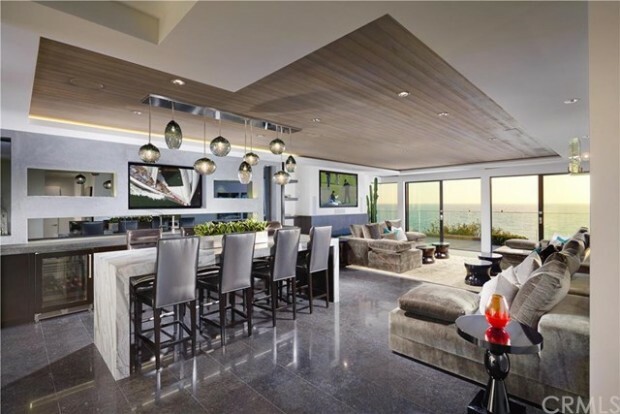 No suprise here, this newly remodeled three-story contemporary beachfront home was envisioned by world-renowned architect Richard Landry. 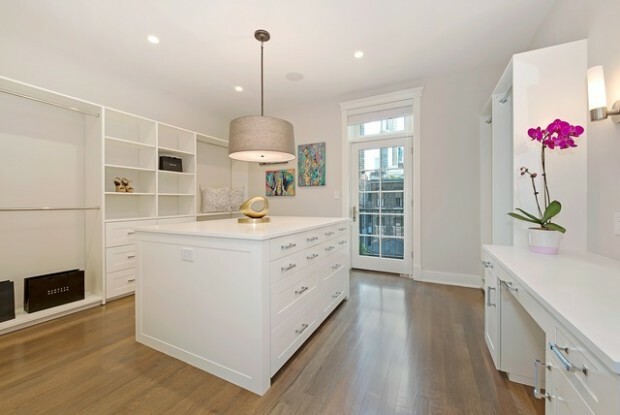 Personally, I believe there is nothing sleeker than an all-white kitchen with metallic (silver or copper) over-counter pendant lights. It transports me to a high-end restaurant or French brasserie. 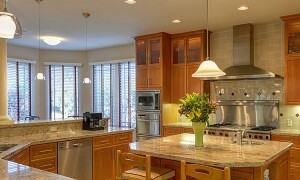 Replicating the look in your kitchen is easy, but be sure to space the lights appropriately for the best effect. We love how the fixture above this chic dining space gives the whole room a rustic feel while still maintaining it’s elegance. 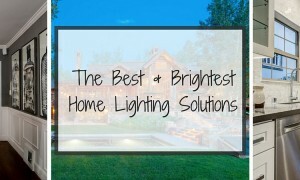 For more information on what lighting to choose for your home, check out the Ultimate Lighting Guide. 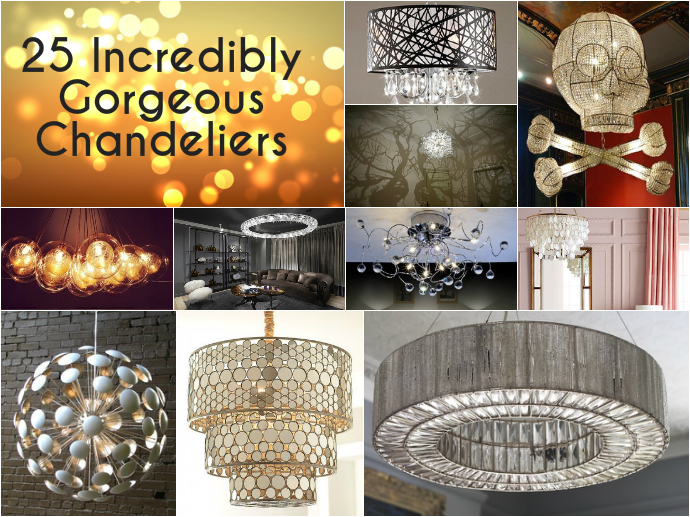 A chandelier can add more than just light to a room, it can become a focal point and a piece of art.